DNA studies reveal that the lineage of the Incas dates back to long before the known history of the Tahuantinsuyo Empire, or the ancient establishments of the Cusco Valley; In addition, can be traced to our days. The Panacas were the families of the elite, kings and former Inca priests belonging to the dynasty of the “Hurin Cusco”; On the other hand, the denomination that received the dynasty of the “Hanan Cusco” was the one of Ayllu Real. Supported by history, the highest rank of the Inca nobility, belongs to the real Ayllu of Huayna Capac; This house was the last to rule before and during the invasion and conquest of Spain. It was also the only one respected by the Crown of Spain, after the military and cultural shock; Was preserved in the city of Cusco under an exceptional regime, due to its symbolic representation. However in the time of the republic, their titles were invalidated and their property usurped; Political reforms annihilated their wealth and greatly diminished their political power. 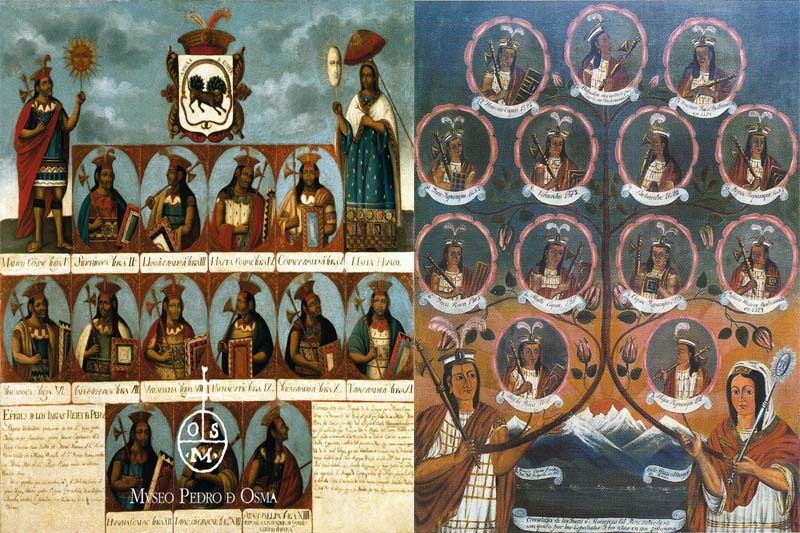 How far can the Inca lineage be traced? The child was buried by the Inca culture in 1500 AD. It was concluded that the child belonged to a population whose DNA could be traced back to modern South American natives. It was estimated that the child would have been around 7 years old at the time of the sacrifice, and that the cause of his death may have been the controversial Capacocha ritual, which was performed by the Incas in difficult situations. It has been found that the child belongs to a subgroup of the previously unknown C1bi lineage, dating to 18,000 years ago. It is believed that this particular subgroup (C1bi) was conceived in the Andes, 14,000 years ago. Although the genetic line C1b is very diverse, since it extends along Central and South America, apparently small groups would have been isolated, developing particular characteristics and own variations. A very rare subgroup has been identified by genetic researchers and has been called the C1bi genome, whose origins date back 14,000 years in the past; Is the genome present in the child of the Aconcagua mountain and currently belongs to a community of South American natives, who have never been identified. However the exhaustive search in the genetic databases yielded only 4 samples of this rare genetic line; 3 of them belong to people living in the countries of Peru and Bolivia, the fourth belongs to a sample of the Wari culture, Before the empire of the Incas. The Wari population disappeared completely after the Spanish invasion. At present C1bi is very rare, but having appeared in samples of living and geographically separated people, it is presumed that it may have been much more common in the past, although there is usually a register of pre-Columbian genetic groups completely disappeared after Arrival of the Spaniards. It is known that almost 90% of South American natives died after the conquest due to the Spanish, or epidemics brought from the old world. This colossal demographic collapse, followed by centuries in which this small part of the Andean population, mingled with Europeans, Africans, Asians, and Amerindian ancestry; Caused a large-scale genetic loss, but also gave rise to a multicultural country considered “the mixture of all races”, Peru.